Welcome back to another edition of FishbowlNY’s weekly Cover Battle. This round features Sports Illustrated versus Variety. For its latest cover, SI went retro. As we noted yesterday, the image was inspired by a 1977 SI cover featuring Larry Bird. Other 1977 things we’d like to see resurrected? Gold lamé jackets. 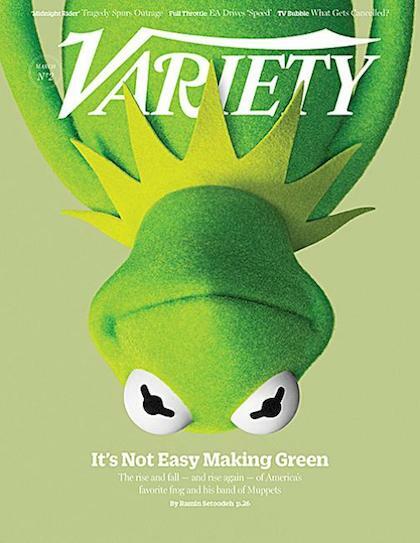 Instead of going retro, Variety went Kermit. We love this cover, but we honestly don’t get the appeal of the Muppets. They were great. When we were 10 years old. Which Cover is Better, Sports Illustrated or Variety?